ASNs so-colored for EMs link to their NARA Enlistment Record. One of the most diverse crews of the Group, a very thick book could be written about their adventures. Schreiner and crew were first assigned to the 406th BS upon arriving at Alconbury in December of 1943, but this was quickly changed and they were reassigned to the 36th BS on 11 Dec '43. They flew four missions as a crew out of Alconbury, and were then chosen by Bernt Balchen to participate in "Operation Sonnie" out of Leuchars, Scotland on Detached Service. Sonnie brought Allied Airmen, Norwegian Resistance fighters, and materials out of Sweden by using the subterfuge that the planes were civilian. In fact they did have civilian markings and registrations and they were unarmed. But little else was civilian about them. 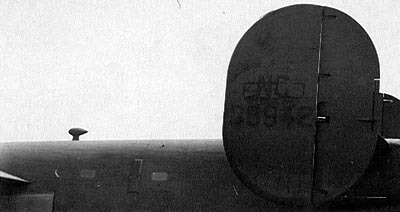 The ball turret was removed, seating was installed, and the five or six planes that Balchen had for Sonnie were painted a very dull gray with tail numbers that were barely distinguishable. Operation Sonnie came to an end in the summer of 1944 after repatriating a number of personnel often estimated at around 3000. By that time Balchen had sought and gained support for supporting the Norwegian Reistance in the same fashion as the Carpetbaggers had been doing since January '44. But the men who had volunteered for Sonnie, outside of the Schreiner crew, had already completed their tours prior to the Leuchars experience and did not want any part of it, at least not without a long leave to the ZI. Accordingly, makeup crews were drafted from incoming ferry pilots and given some training at Harrington before participating in Balchen's "Ball Operation". 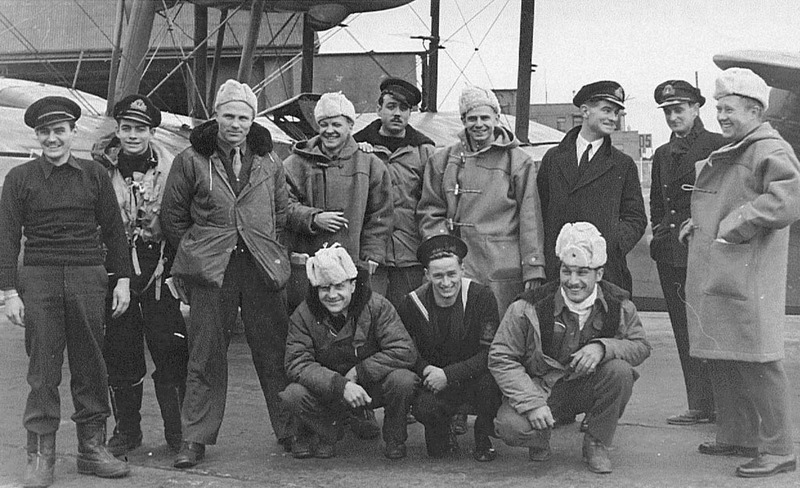 The crew picture above shows the crew on their return to Leuchars, Scotland after being shot down by "friendly" fire of the Russians over Murmansk, where they were trying to land after a successful drop to the Norwegians. After two weeks internment they were returned via a WWI-era British battleship to the Shetlands and a British seaplane back to Leuchars. In the incident, LtCol Keith Allen, command pilot of the mission, was killed. By the time of their incident(20 Sep '44) Schreiner and crew had been transferred to Air Transport Command and were no longer part of Heflin's Carpetbagger operations. Losing LtCol Allen, and one crew with OSS cadets on board in an attempted drop (O'Hara crew) Balchen's Operation Ball was brought to a stop by orders from General Spaatz shortly after the Schreiner incident. Errata: It has never been widely publicized but two men from Schreiner's crew, Withrow and Durham, participated in the retrieval of an errant V-2 from Swedish territory in a C-47, which provided the Allies advance notice of Hitler's second "vengeance" weapon. LtCol Keith Allen piloted the mission. AAFRH-21 "AAF Aid to European Resistance"